Are you a Food Company? Does your Accountant really know the Food Industry ? Are you committed to Irish Food Manufacturing? 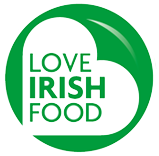 Aidan O’Byrne of OBK is a current and founding Director of Love Irish Food. Does your Accountant have this level of Food Industry experience ? Looking to get real Food financial advice? Authorisations Disclaimer Cookies & Privacy OBK Accountants Limited | Suite D2, Bracetown Business Park, Dublin 15.